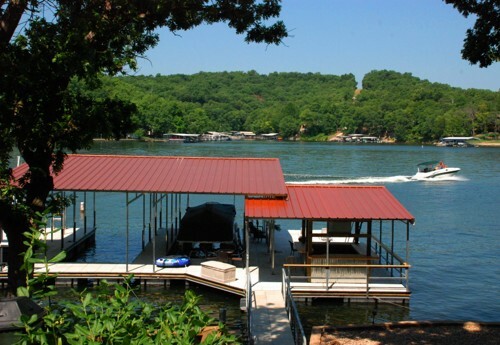 tournament | Crystal Water Villas Blog - Lake of the Ozarks! Are you staying with us this weekend or know a friend or relative who is? Here are some of the must-attend events worth checking out! 63rd Annual Dogwood Festival, April 18-20: Fun for the family, featuring, among other activities: crafts; pageants; food; entertainment; a parade; a golf tournament; a fish fry; and a carnival. Please visit the website for details, locations and schedules. Get more details here. 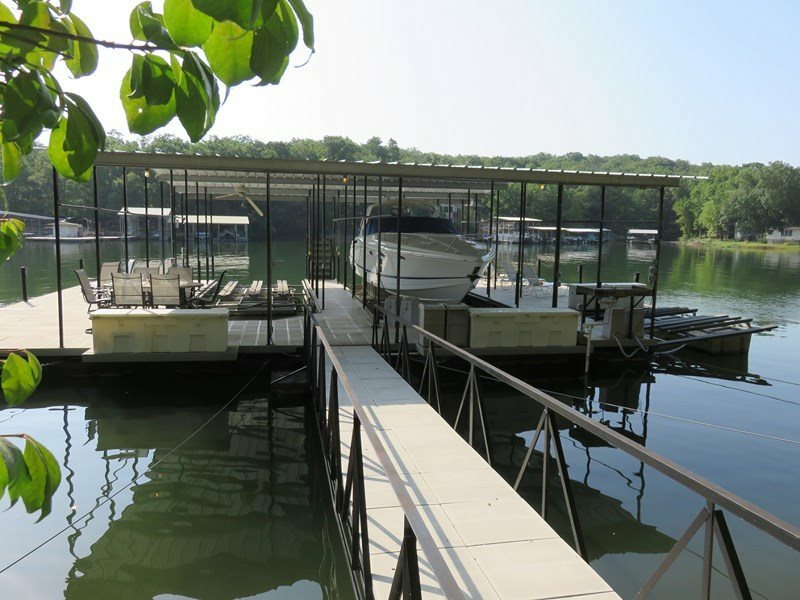 In-Water Boat Show, April 19-21: The In-Water Boat Show, sponsored by the Lake of the Ozarks Marine Dealers Association, allows you to see a variety of boats, including new cruisers, performance boats, runabouts, and personal watercraft. 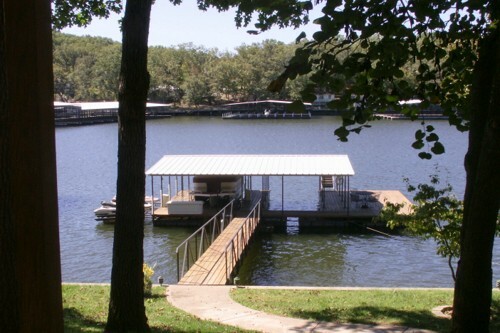 The show is held at Dog Days Bar and Grill; 19 mile-marker by water. Get more details here. Big Bass Bash Fishing Tournament, April 20-21: The Big Bass Bash on the Lake of the Ozarks has grown to become one of the Midwest’s largest amateur bass fishing tournaments. More than $150,000 in cash prizes, including a grand prize of $41,500 to the angler who hauls in the heaviest bass of the weekend. More information here. “The fish bite when the dogwoods are in bloom”. It’s that time again — The Big Bass Bash is coming to the Lake of the Ozarks April 20-21! The Big Bass Bash on the Lake of the Ozarks has grown to become one of the Midwest’s largest amateur bass fishing tournaments. More than $150,000 in cash prizes, including a grand prize of $41,500 to the angler who hauls in the heaviest bass of the weekend. 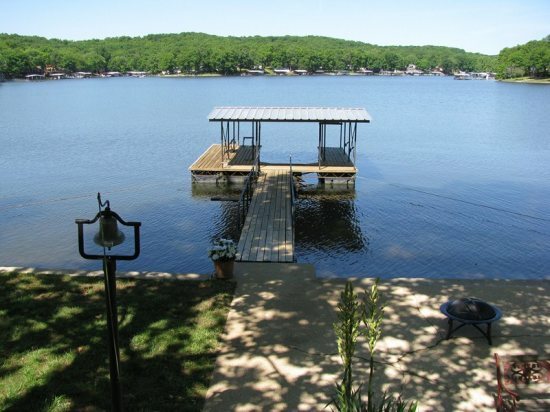 If you’re looking for a place to stay during the tournament, be sure to browse our properties. Book your stay online and automatically save 5%. To learn more about the Big Bass Bash, click here. Interested in $50,000 Cold Hard Cash? Do you think you can catch the BIG ONE? 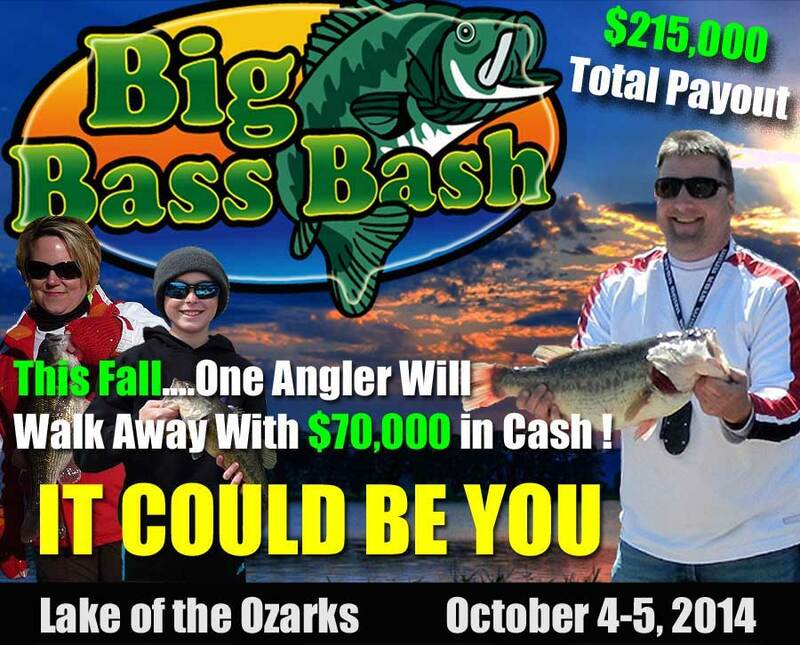 The Big Bass Bash is coming up this next weekend, October 1st and 2nd. If you are bringing the kids along, they can participate as well. The Big Bass Bash Kids Division is for kids 12 and younger. Newest to this year’s bash is the Big Bass Ladies Division — the lady who weighs in the biggest bass will win an additional $1,000. Come on, ladies. Take home this year’s prize!